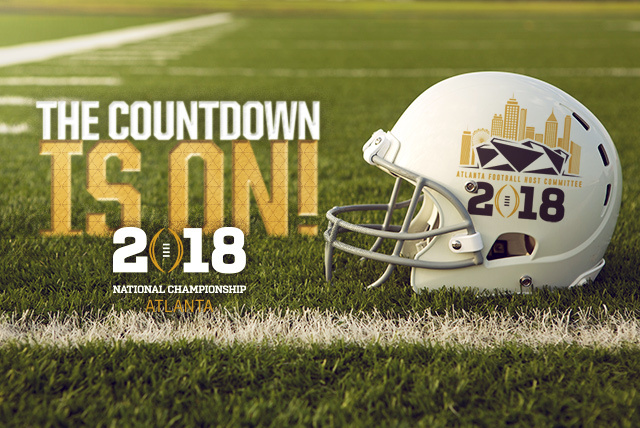 ATLANTA (February 16, 2017) – The countdown is officially on, and college football fans across the country can keep track of the days, hours, minutes and seconds until kickoff in Atlanta on the College Football Hall of Fame & Chick-fil-A Fan Experience’s new digital marquee. 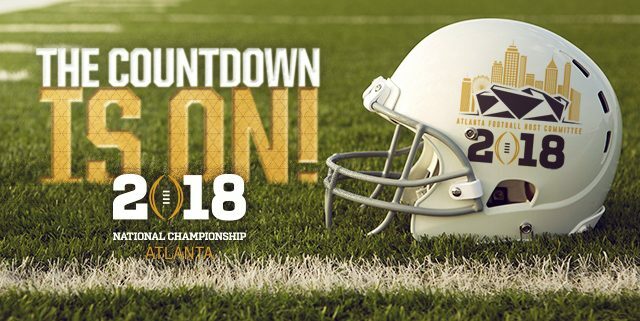 With less than 11 months until the College Football Playoff National Championship on January 8, 2018, members of the College Football Playoff, Atlanta Football Host Committee (AFHC) and several city and business leaders, will be on hand to unveil the official 2018 countdown clock on February 16, 2017 at 11:00 am. The marquee will change the look of downtown for years to come and will grow to be synonymous with college football, across the country. The Hall’s new digital marquee is the vision of Innovative Show Design, a scenic and lighting design firm located in Orlando, Florida. The largest installation of it’s kind in the world, the entire display spans a length of over 50 yards and is composed of more than 1.5 million individual LED pixels. “Our building and new digital marquee is unlike any other interactive attraction in the country. We are thankful to our generous partner, Chick-fil-A for making the vision possible and to the College Football Playoff and Atlanta Football Host Committee for giving us the opportunity to host the official countdown clock at the mecca of college football,” said Dennis Adamovich, CEO of the College Football Hall of Fame and Chick-fil-A Fan Experience.